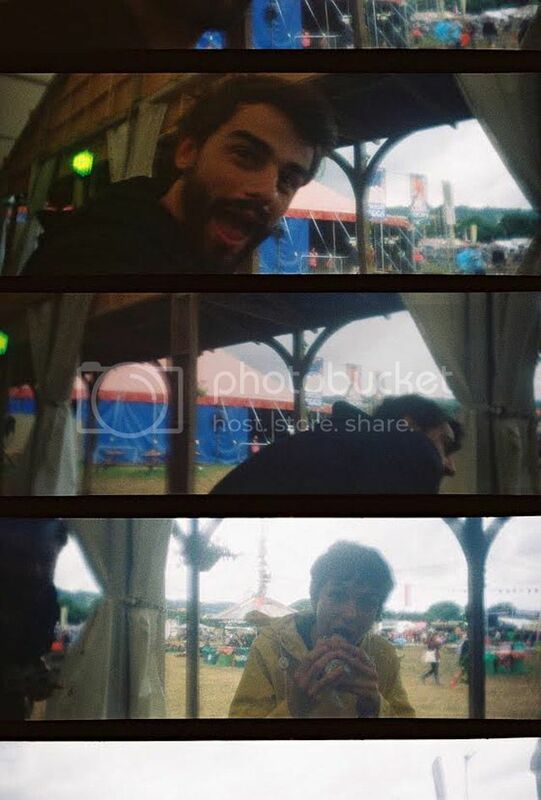 We Were Evergreen share Glastonbury diary + Win a La Sardina Lomography camera! 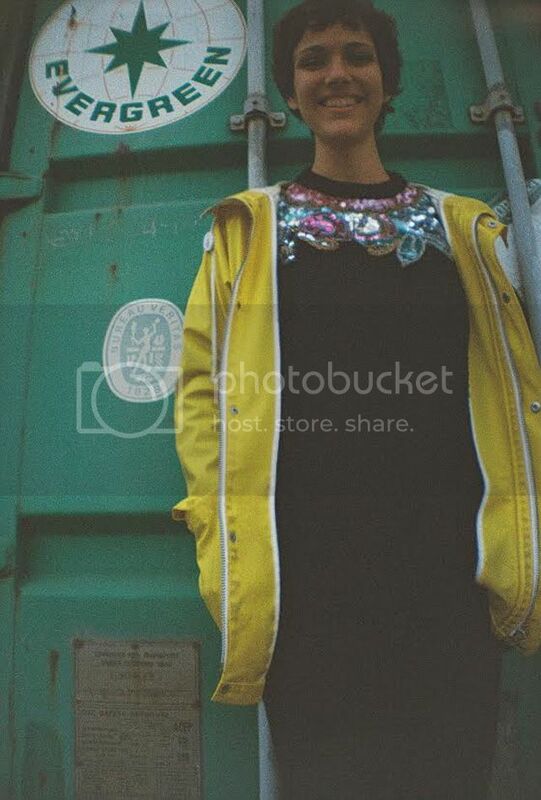 Check this exclusive interview and photos with We Were Evergreen AND enter for the chance to win a La Sardina Lomography camera! 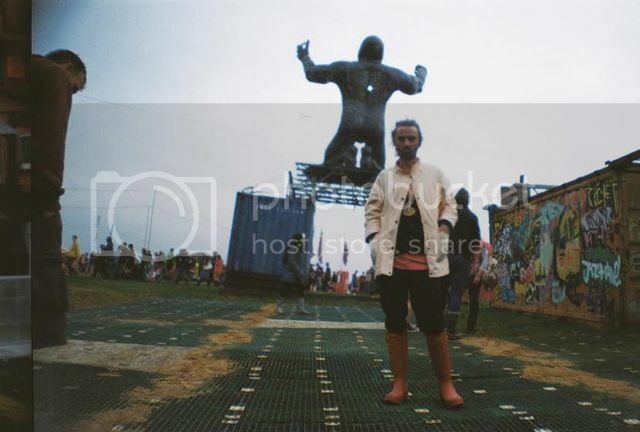 We recently teamed up with Lomography to provide We Were Evergreen with the tools to capture this year's Glastonbury, and you can find the results below. 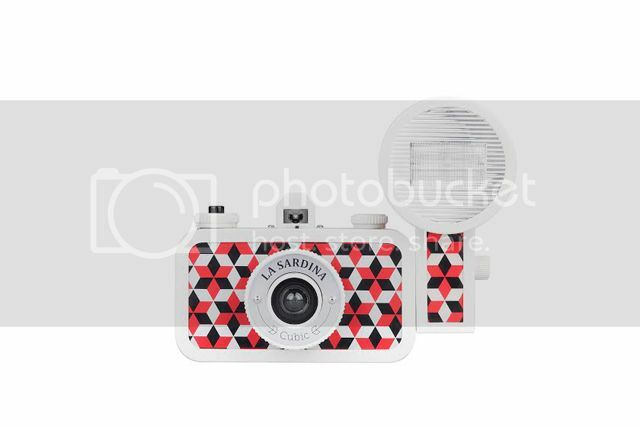 Not only that, but we're actually giving away a La Sardina Lomography camera! Check out the photo diary/competition/interview below, and be sure to pick up their new single 'Best Thing' on August 25th (taken from their new album Towards). Hey guys! How are you, and where in the world are you right now? 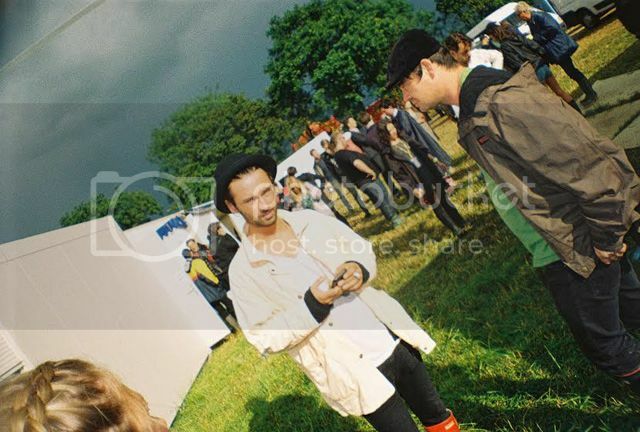 William: We're currently backstage at the Williams Green stage at Glastonbury. We've been here for the past few days! It's amazing! You've been making music together for six or seven years now. 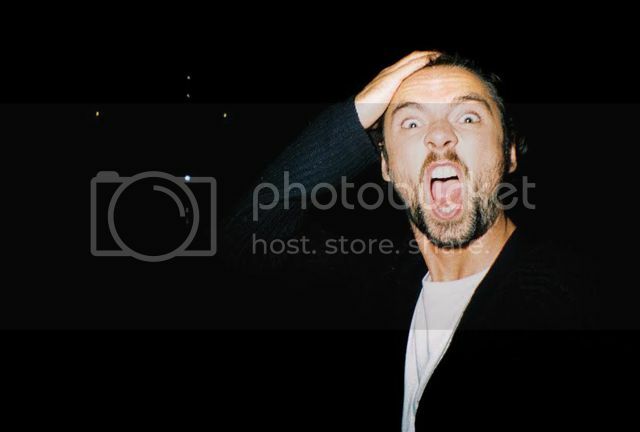 Things seem to be going great for you, with the release of the album, videos and remixes, live dates around the UK and tons of festival shows ahead. What has the journey been like so far? Michael: The journey has been long but it's basically split into two phases. The first was when we were doing our thing in Paris, and then we got the opportunity to come here. Once we were in London we kind of had to start again. It was a schizophrenic identity at first, with one foot in Paris and one in London. I think it's going well now - it's surprised us where we've been taken - we've been able to cross over this side of the channel, and be established here and try to work as an English band would do - it's not something a lot of French acts get to do! As well as dates at Lovebox, Larmer Tree, Tramlines, Kendal Calling and in Europe over the next few months, you're lined up to play two sets at Glastonbury this weekend. How are you feeling about playing the biggest music festival in the world as well as a summer full of performances? 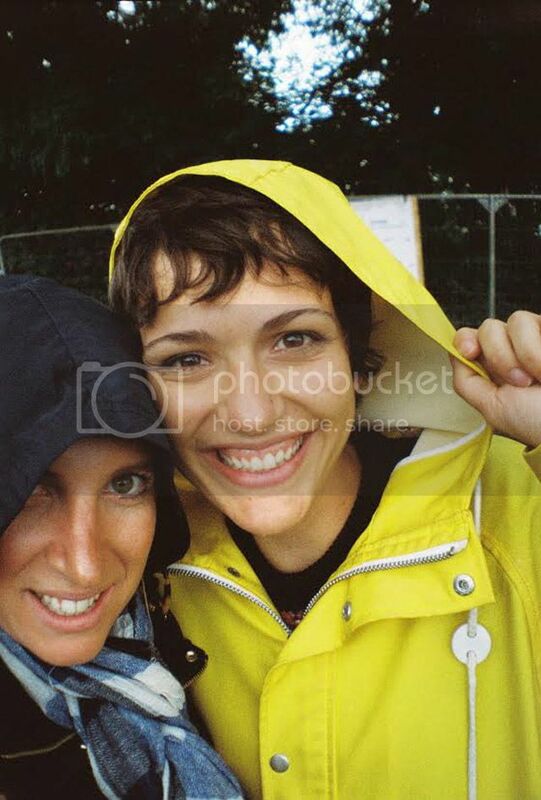 Fabienne: Festivals are always a really great moment for us. This one is the first of the year and legendary, so we're so excited! Luckily it's not too much horrible weather - you hear things about Glastonbury - monsters of mud! 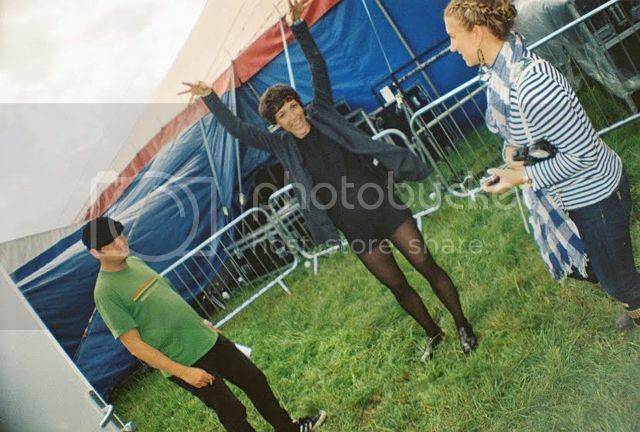 Michael: It kind of doesn't matter - it's part of the Glastonbury experience. It has been muddy - we've been here since Wednesday! I was a bit worried at first as I thought it was going to be a bit too big and a bit too hectic; but, now I've worked my way around. It's really cool, with really cool people! Critics and reviewers have compared WWE look to artists such as Alt-J, Connan Mockasin and Metronomy amongst others. We think we can hear a bit of Yann Tiersen, Camille, Elephanz and Granville in the mix too. Can you tell us a little about your musical influences please? 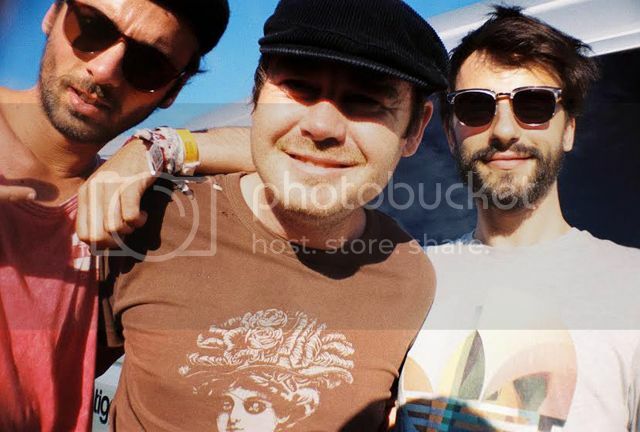 Michael: Well we're three people with three different backgrounds and musical influences. All the artists you've mentioned we all enjoy - we don't actually draw influence from them, but I think the Alt-J thing is because we have the same producer. Yeah, we grew up listening to a lot of English music and a lot of French chanson too. William: South American music is also an influence in our sound - the more traditional rhythms of South America and Latin America. Fabienne: I think what we like is just to mix lots of different influences. The three of us listen to really different stuff, so we enjoy the blend! Your debut album Towards dropped in May this year, and has been described as carefree, cute, honest and smart in reviews. How would you describe the record, and are you happy with the response it has had from fans and critics? Fabienne: Carefree, honest and smart! Wow! Michael: The album is, let's say, a sort of result of our evolution as a band and the honing of our sound. I think we found something we really liked with Charlie Andrew our producer by being in London; by being able to step out from what we had known. Taking ourselves out of our comfort zone and going further than what we set out to do. That's why our music now sounds very different to what it sounded like 5 years ago. William: Hopefully that doesn't shock people who have been fans from the beginning, hopefully they enjoy evolving and changing with us and our sound. Michael: We've been really happy with the reception of our album. It's been a question of working on textures and moving into more organic sounds, as well as electronics. Hopefully people can hear the evolution in our album. The title 'Towards' sort of describes that - something dark to something that is progressively withdrawing from the darkness, and into the light. The three of you met and began to write and play music together at the historic Conservatoire de Paris, before relocating to London after a chance meeting at a Sofar Sounds gig led to a bunch of opportunities in the UK. How do you split your time between London and Paris these days and where are your favourite spots to hang out in each city? Fabienne: I think we used to go back to Paris quite a lot, but now we're more settled in London. We go back to Paris from time to time to gig, but we spend a lot more time in London now. We really like the city. Our favourite spot is probably ... hmmm it's hard. I really like the canal in general. Paddington and Regents canal is nice. In Paris the canal is nice in summer time too. Michael: I really like Victoria Park because I live close to there. It's a great place to go. Michael: In Paris, we love Place En Art - a small little square in the north of Belleville, it's out of the hustle of the city - really isolated. What do you think are the biggest similarities and differences between the music communities, scenes or movements of London and Paris at the moment? Michael: I think it's very interesting. Paris scene seems like it has a lot less going on and emerging. In London there's so much more emerging, but it does seem a lot more fickle, as it's so fast paced, people come and go. In Paris, only a handful of bands will make the year - it seems like they hold onto people a lot more. William: In London things evolve really quickly. The fact we could play so many shows so quickly means that there's a possibility to do as many things as you want, even when, like us, we didn't yet have an audience. Michael: Music-wise, in terms of production and taste, perhaps the Parisian sound is cleaner. Here I think people associate Paris with electronic music but there's also a very good Indie scene in general. A lot of bands sing in English in Paris, but there is a new surge of bands singing in French. Weirdly, these guys are influenced in production by the UK but are bringing back a tradition of French song writing in French vocals! We're guessing that your multi-instrumentalist skills are pretty integral to the sound and direction of WWE. Do you still have a curiosity for new instruments, and is the group's style still developing musically-speaking - or are you happy with where you are at? Fabienne: Who knows. We definitely think we will evolve and change again because that's the way we work. We would like to continue the blend, we don't like to get stuck in same thing. I would love to get a new keyboard, and a harp maybe. Just a small one - not a huge classical one! Also a Balaphone - it's a new version of the xylophone we already have. But we don't want to see too much like a circus, always swapping instruments! We think it's important to keep our sounds unique and minimal, that's' what we tried to do with this album anyway. You've mentioned in previous interviews that you have a shared love of cinema, a passion which is pretty evident in your videos. Do you guys have any plans to make films or write film scores together? Fabienne: Why not! That could be good. Yeah, let's do it! Michael already wrote a few scenarios. It looks to me like such another huge world to enter and technically we're so far away from that! We make small things on Imovie but we will definitely continue to watch movies and see what happens. William: We'd love to write music for films. We've tried this and really enjoy it. So that's definitely something we'd like to continue. Along the way you've opened for a diverse set of artists including Michael Kiwanuka, Stornoway, Villagers, Baxter Dury, London Grammar and Anna Calvi. Is there an artist or band out there that you'd drop absolutely everything to collaborate or go on tour with? 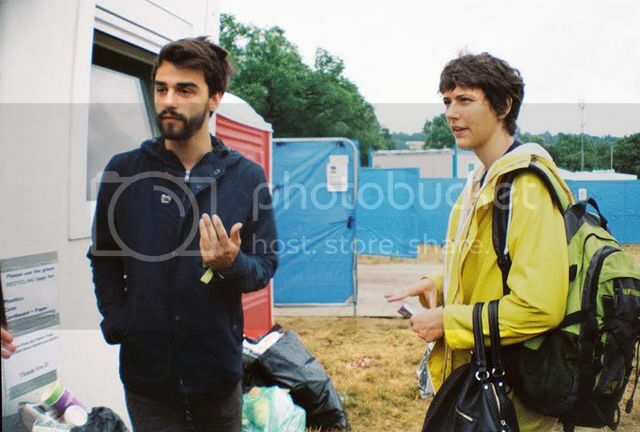 Fabienne: Why not Vampire Weekend! 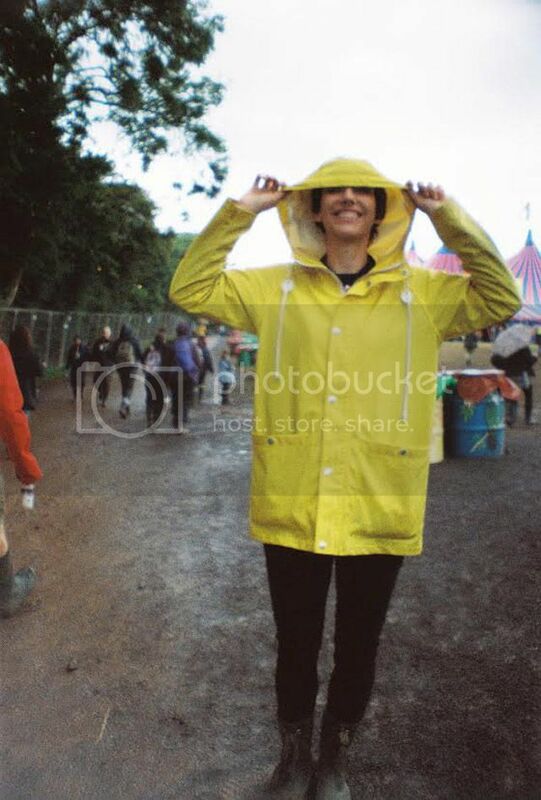 Fabienne: Another tour with Metronomy, if they can hear us, would be amazing. So would St Vincent! What's next for We Were Evergreen? Fabienne: Summer festivals, and touring in October and November. Before that we have our new single coming out in August called 'Best Thing'. The video has just been released for that. Michael: Also writing new songs! What is the name of We Were Evergreen's current album? Email answers to info@wired-pr.co.uk. The winner will be announced next Monday 14th of July. Entrants will be subscribed to the Lomography mailing list, but can unsubscribe at any time via the link on the newsletter. Lomography does not share your data with any third party.